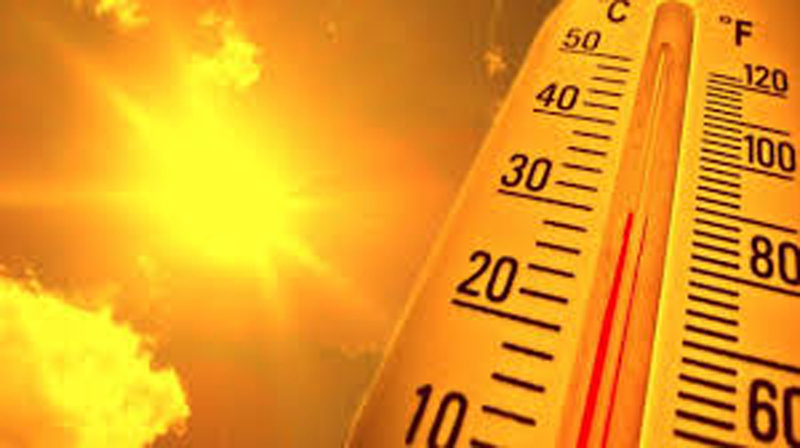 As the heat wave progresses, with the sun directly being over Sri Lanka, temperatures upto 41 centigrade were recorded in some parts of the island. The Meteorology Department warned that warm weather will continue until at least April 15, after which it may subside. On the apparent northward relative motion of the sun, the department predicts that the nearest areas of Sri Lanka over which the sun is overhead today (6), are Ahungalla, Ganegoda, Kalubowitiyana, Ketawala, Walalgoda, Sooriyawewa and Galkaduwa about 12:12 noon. On April 7, most parts of North-western Province and Mannar, Vavuniya, Mullaitivu, Hambantota and Monaragala Districts would be affected while on Monday (8) most parts of the North-Western Province and Gampaha, Mannar, Vavuniya, Mullaitivu, Trincomalee and Monaragala districts would face similar conditions.